Welcome to this week’s Fun with Food Friday! This delicious recipe comes from reader Lauren Kane-Sample! In this case I used almond butter and for my addins I used equal parts sesame seeds, poppy seeds and mini chocolate chips. Mix well. 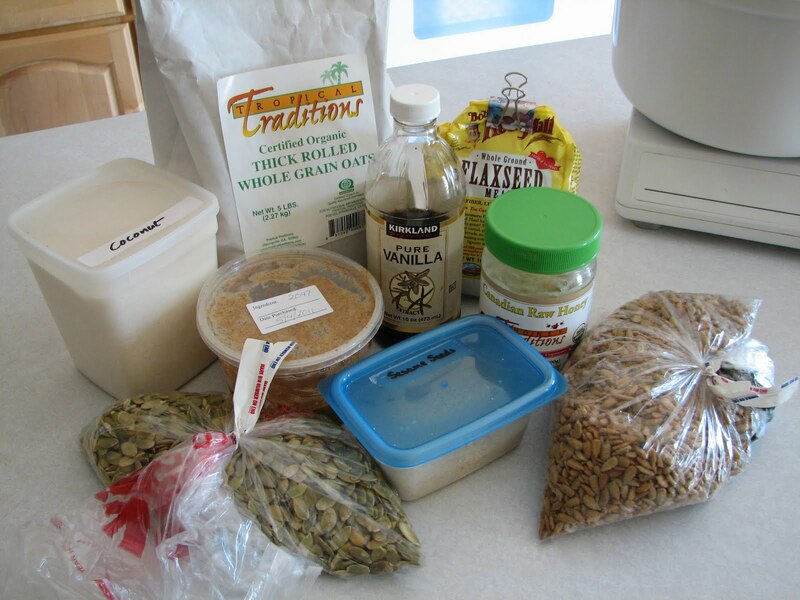 Once it’s all combined place in the fridge for about 30 minutes. Then remove from the fridge, scoop out some dough and roll into a ball. I find it’s much easier, and works better to squeeze the handful together to compact it and then roll it into a ball. 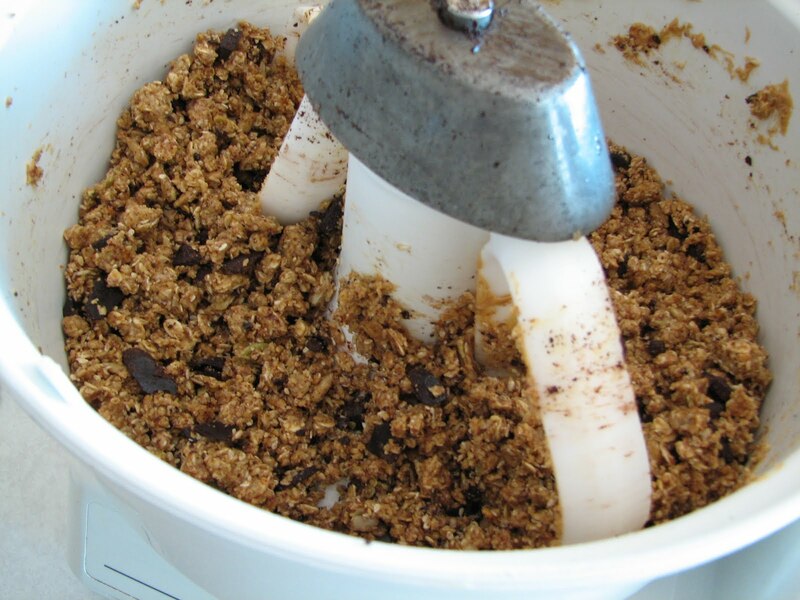 If yours are too sticky you can considering adding more dry ingredients into them or rolling them in something like ground nuts, coconut, etc so they aren’t as sticky. 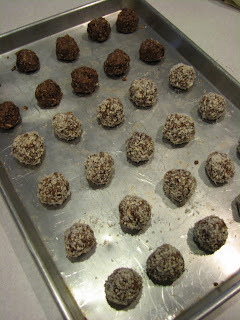 Place the balls in an airtight container either in the fridge or freezer for quick and easy snacks. I started by making some dairy-free chocolate chips with coconut oil. I’ll have to write a review on that recipe sometime. They were good, but very dark chocolate. And coming from me, that’s saying something, ’cause I like my chocolate dark. 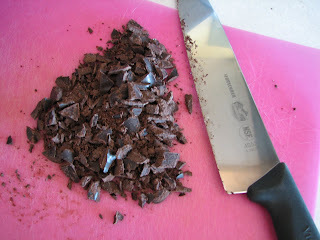 Anyway, they worked well in this recipe, so I was happy, and my poor chocolate-deprived daughter was very happy. I was pretty in-exact in my measurements, mostly because I hate trying to measure things like peanut butter. I used about half almond butter and half peanut butter. I think I’d prefer them with 100% almond butter, but I didn’t have much, so I combined them. They are a great snack to have in the freezer. Perfect for when I’m pregnant and/or nursing, and a healthy and deceivingly cookie-like option for my toddler. I rolled most of them in a unsweetened coconut/sesame seed mixture and left some of them plain so as not to be so messy for Katie to eat. This pan is sitting in my freezer now, and when I get around to it, I’ll put them in a container back in the freezer for easy access! Thanks, Lauren, for this healthy and delicious snack! Linked up at Traditional Tuesdays at Cooking Traditional Foods! Yummy! You have such healthy recipes!